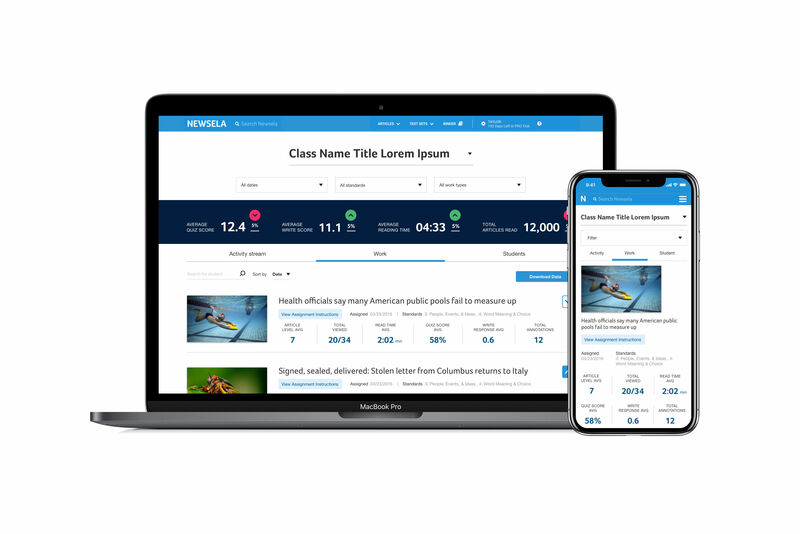 Newsela is an Instructional Content Platform for schools that supercharges reading engagement and learning in every subject. 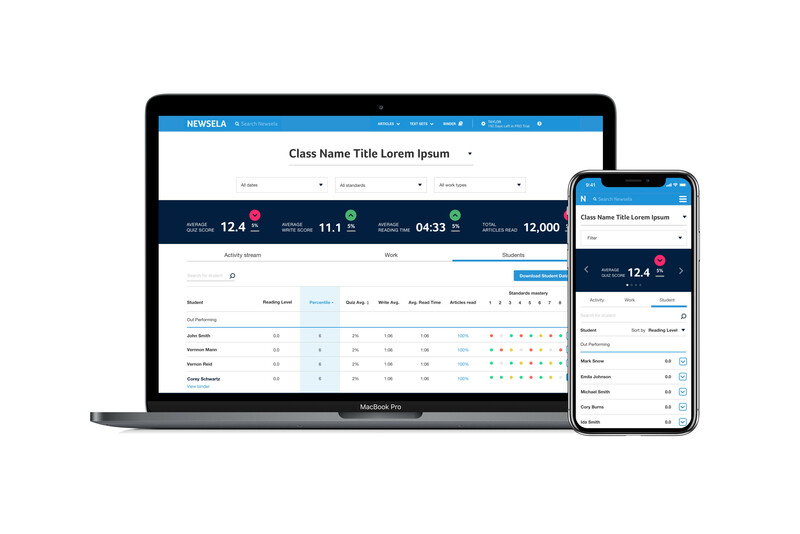 The task was to update Newsela's Pro offering—a premium paid service—based on initial wireframes and by following Newsela's brand and UI style guide, which is based primarily on Google's Material Design. 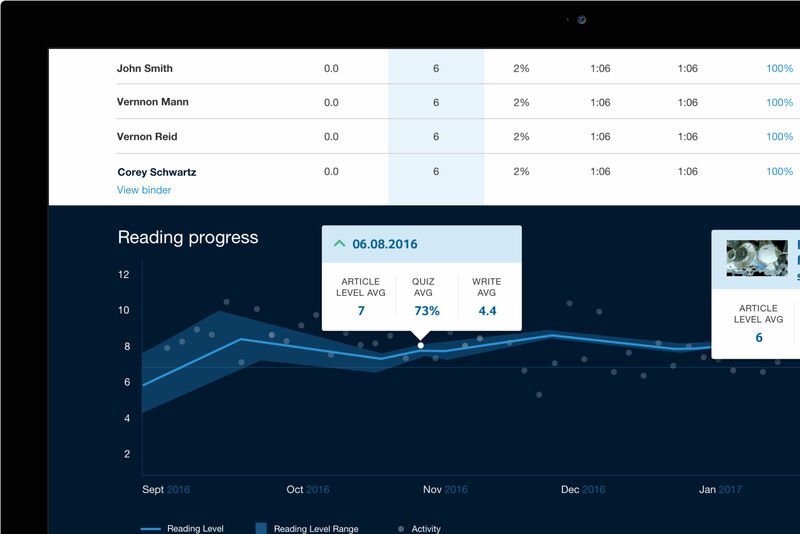 Newsela Pro had to look more premium than the free version. Hence a new darker blue for the brand UI was recommended. 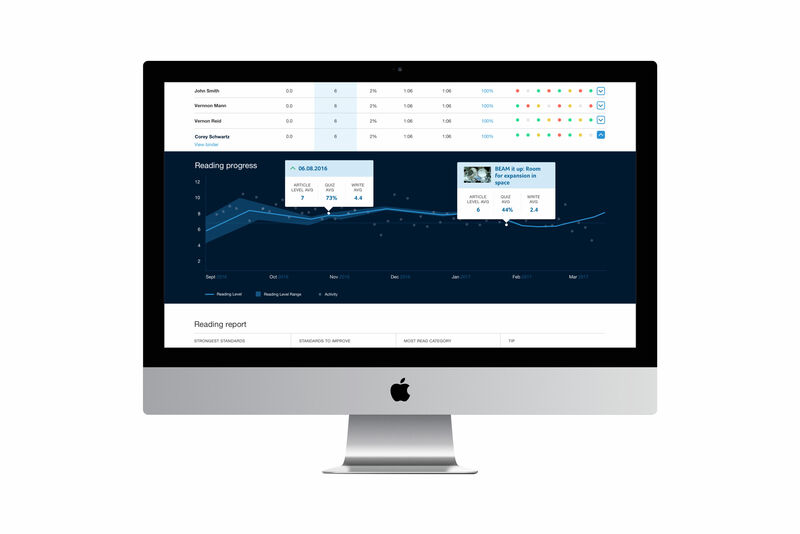 The product was iterated consistently based on a two-tier feedback process. 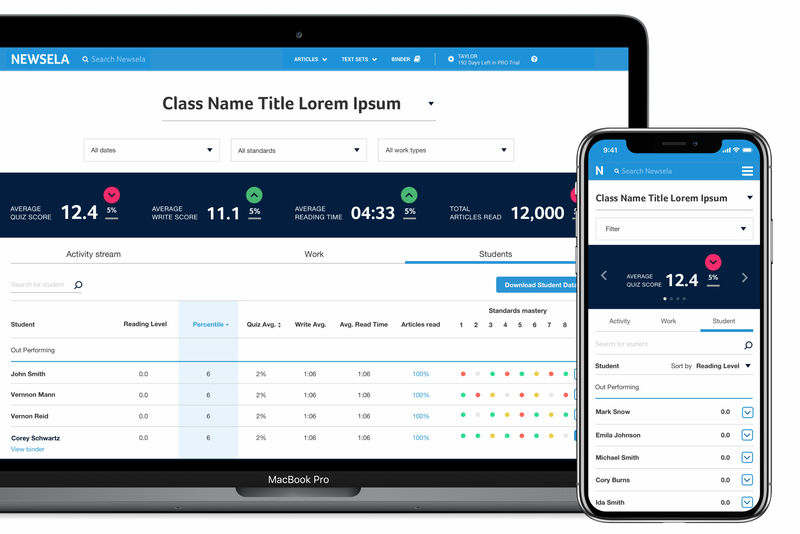 Tier-one involved UX and Visual Design team reviews, and tier-two reviews were with the Product Owner and key stakeholders. 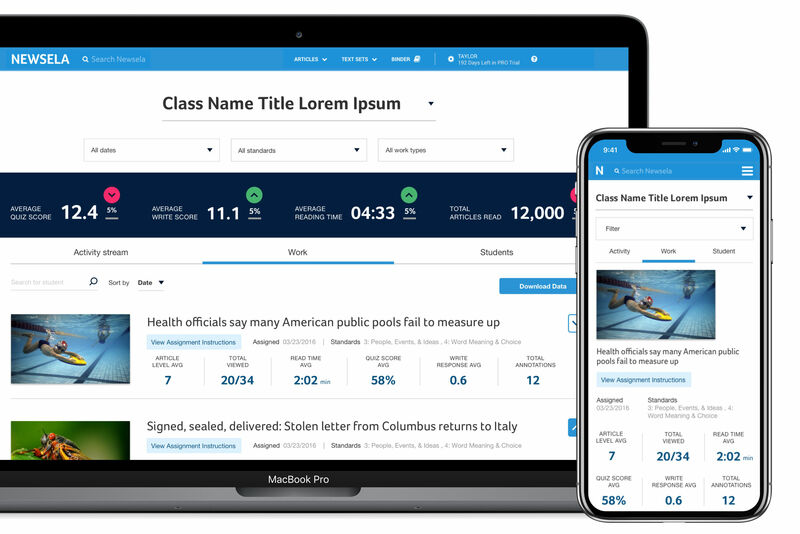 Newsela Pro was launched successfully on the market and was well received by users.